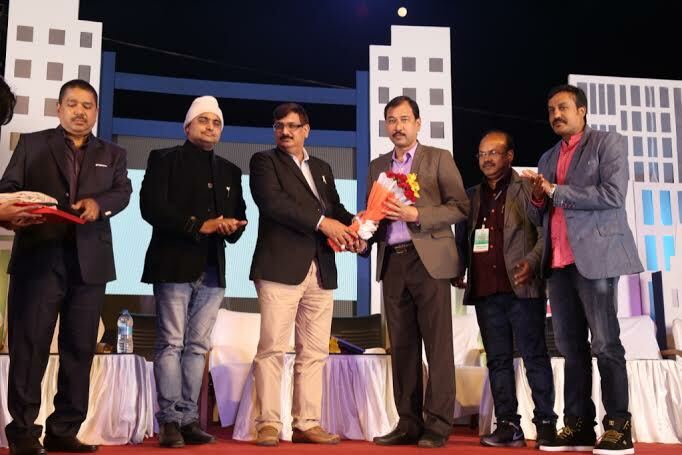 All roads led to the Janata Maidan, Bhubaneswar on Sunday as the much hyped ‘CREDAI – Odisha Property Expo 2016’ was witnessing its closing ceremony which was successfully organized by the state chapter of Confederation of Real-estate Developers Association of India (CREDAI). The Expo offered an ideal platform for everyone interested in the property market. Developers exhibited their latest projects, and the high-end constructions from reputed builders attracted buyers from all over the region. Developers showcased an array of residential projects ranging from apartments to individual homes. Most of the developers also offered financial help by providing home loan assistance through their banking partners. The 4 –day-long- exhibition witnessed more than 5000 visitors with millions of queries. With awards, felicitations, fashion show and band performance CREDAI successfully conducted the closing ceremony where eminent personalities from different sectors were present as guests. Hon’ble Minister for Food Supply and Consumer Welfare, Sanjay Kumar Das Burma graced the occasion as Chief Guest where Hon’ble MP, Ranjeev Biswal and Hon’able DGP Odisha Shri Kunwar Brajesh Singh, were present as guests of honor. CREDAI Odisha felicitated Mr. Radhanath Kar, Chairman CREDAI, for his contribution in real-Estate industry since 3 decades, Mr. D.S.Tripathy, Governing Council Member of CREDAI was felicitated for his contribution towards growth of Real-estate industry and Ar. Ramesh Ch. Swain was felicitated for outstanding achievements in architecture field. The participating companies were also awarded for best products, best stall and many more. Apart from this, one of the premium Karaoke bands of Bhubaneswar Starlight Music performed beautiful songs throughout the award ceremony. It should be noted that CREDAI Odisha, the Odisha Chapter of Confederation of Real Estate Developers Association of India (CREDAI), the apex body of Real Estate Developers brings private as well as corporate real estate developers under one roof. “CREDAI Odisha Property Expo 2016 and promises to be a single-window-market to congregate Developers and Designers, Policy Makers & Products, Financial institutions together. Among others Dilip Kumar Patra, President of CREDAI Odisha, Swadesh Routray, Vice-president of CREDAI Odisha, Mr. Sangram Keshari Sahu, General Secretary of CREDAI Odisha, Mr. Binay Das, Immediate Past President CREDAI Odisha, Mr. Sashi Garabadu, Treasurer CREDAI Odisha, Korei MLA and the brand ambassador of CREDAI Odisha Chaoter Mr. Akash Dasnayk, Governing council of CREDAI Odisha Mr. D S Tripathy were also present in the closing Ceremony.